The new Sponsor of the London Boat Show CWM FX has made a spontaneous donation of £10,000 to the Andrew Simpson Sailing Foundation. The presentation was made to Sir Ben Ainslie, one of the Founding Trustees of the Charity, at the CWM FX London Boat Show. The charity was founded in memory of, and inspired by, Olympic Gold medallist Andrew “Bart” Simpson who died at the age of 36. Andrew Simpson Sailing Foundation CEO, Richard Percy said “the donation came as a complete surprise and we would like to thank CWM FX for their generosity. 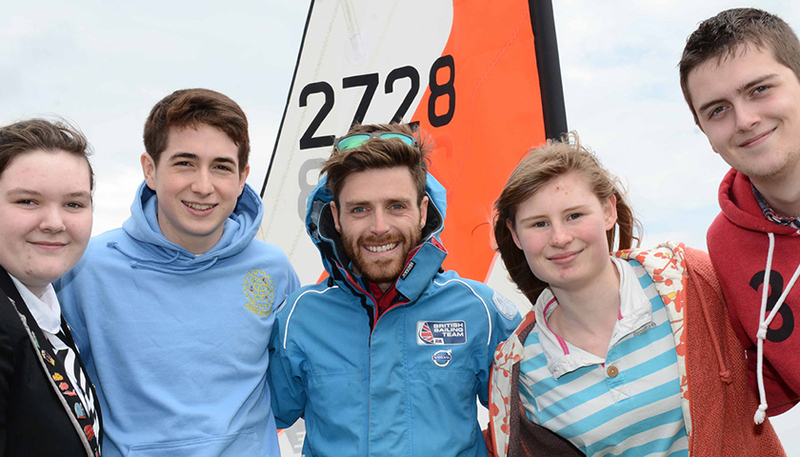 We have some really exciting plans for 2015 and this money will help us to achieve our goals, of using sailing as a means to develop skills and capabilities in young people, enabling them to participate in society as responsible and valuable citizens”.